Follow a study schedule to avoid wasting time & improve your productivity. Achieve your study goals by following your flexible study plan. Access your study plan from your desktop, laptop or mobile device. If you’re looking at study notes for your entire VCE English, Biology, Physics or other subjects, of course studying is going to look terrifying! Thinking about the curriculum as a whole is very daunting but there is a solution to help you manage your learning better. Time management is a valuable ingredient to exam success. Whether you’re only setting off to create your study notes or navigating the tornado of material you have worked on, you constantly need to manage your study time. 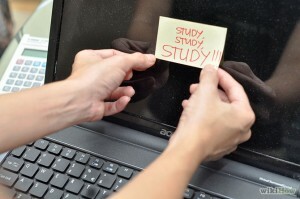 Integrating your study timetable into your learning will help relieve exam stress and combat your overwhelming fear. Once you start ticking completed tasks off your list, you will feel a sense of accomplishment which will boost your confidence. It’s a chain reaction; once you begin using your planner to study, your confidence will grow and this will boost your motivation over the long-term. 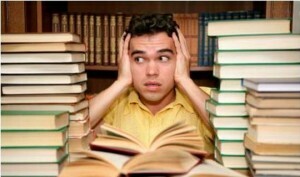 Deciding when and what to study can be extremely difficult and often it is hard to decide where to begin. Creating your study timetable for your VCE exams provides a clear picture of exactly what you should be working on and when, meaning you don’t waste any time! Instead of having projects and homework hanging over you, stop putting off work and start getting on top of things. This is your opportunity to reduce exam stress and avoid last minute cramming by using a study method that actually works. There are two key reasons why students use our planning feature; to organise study material and manage time all in one place and to gain a sense of achievement when ticking items as complete. You won’t beat that feeling of satisfaction you have when you finally complete a topic! If you’re having trouble getting started (like a lot of students), why not add your subjects and our visual graph will highlight areas you need to focus on. This will help you achieve a healthy balance between time spent on each subject plus the time you allow for other activities in your calendar. The beauty of creating your VCE exam timetable online is that it’s flexible so you can adjust it for other events such hanging out with your friends. Creating your own personal online study timetable for your VCE subjects is key to your success!